The NBOME is pleased to announce the expansion of its staff with two additional senior osteopathic physician leaders. Joel Dickerman, DO,began as NBOME Vice President for Assessment Services on June 18, 2018 and is based in the NBOME Chicago offices. At the NBOME, Dr. Dickerman will lead the Department of Assessment Services. Most recently he served as senior associate dean for clinical affairs at Rocky Vista University College of Osteopathic Medicine in Parker, Colorado, in addition to holding leadership positions in graduate medical education, continuous quality improvement and continuous professional development. Dr. Dickerman was named an “Item Writer of the Year” by the NBOME and formerly served the organization as a clinical decision-making case author, a continuous professional development consultant/coordinator and a standard-setting panelist. A graduate of the Chicago College of Osteopathic Medicine, Dr. Dickerman is board certified in family medicine with certificates of added qualifications in geriatrics, sports medicine, and hospice and palliative care. J. Michael Finley, DO, was named NBOME’s first Senior Vice President for Assessment and began in his full-time role on July 9, 2018. 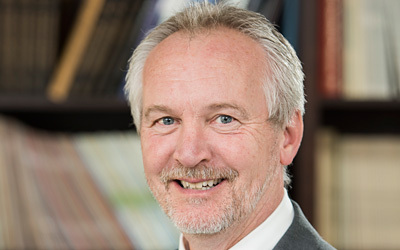 A former member of the NBOME Board of Directors from 2010-2018 and on the Executive Committee from 2013-2016, Dr. Finley was most recently the associate dean of graduate medical education at the Western University College of Osteopathic Medicine of the Pacific in Pomona, CA, where he served since 2000. While at the Western University College of Osteopathic Medicine, he held numerous administrative roles, including as chair of the department of internal medicine, chief academic officer of the OPTI-West graduate education consortium, and as a residency program director in internal medicine. A graduate of the Chicago College of Osteopathic Medicine, Dr. Finley is board certified in internal medicine and rheumatology and was named the 2015 recipient of the American Osteopathic Foundation’s Educator of the Year Award. 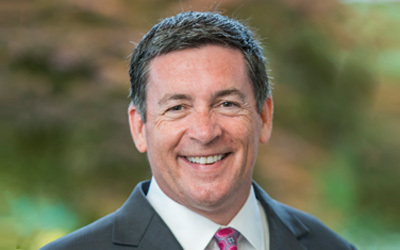 In addition to his involvement as a member of the NBOME Board, Dr. Finley has been involved with the NBOME since 2000 as a an active member of the National Faculty, participating in standard setting, COMAT, standards and assurances, facilities and space planning, and numerous COMLEX-USA Level 2-PE committees. Dr. Finley will primarily be located in the NBOME Chicago offices.